On Friday, key NASA officials gathered in a large meeting room at Kennedy Space Center. Here, for decades, NASA managers reviewed analyses about the next space shuttle mission and, more often than not, cleared the vehicle for launch. But after 2011, there were no more crew vehicles to review. That changed this week when NASA convened a "flight readiness review" for SpaceX's Crew Dragon spacecraft for its initial test flight, without people on board. 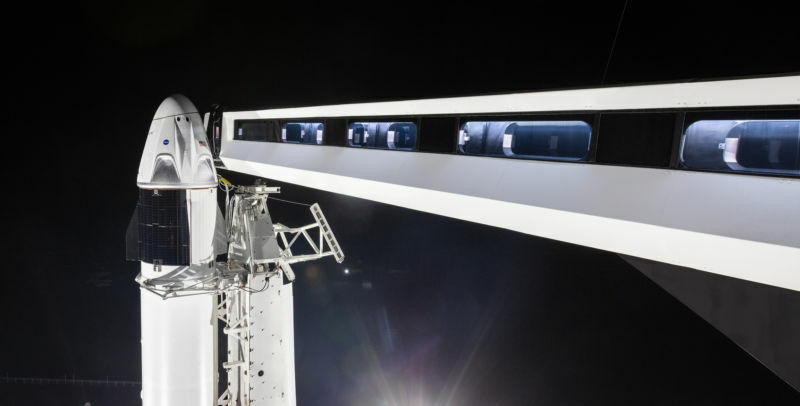 By Friday evening, the meeting was over and, among the NASA and SpaceX officials, the verdict was in—Dragon was ready for its demonstration mission as part of the commercial crew program on March 2. Launch time for the Falcon 9 rocket is 2:48am ET (07:48 UTC), from Kennedy Space Center. “I’m ready to fly," NASA's commercial crew program manager, Kathy Lueders, said succinctly. The mood was ebullient among NASA leadership as well as SpaceX's top official on the scene, Hans Koenigsmann, the company's vice president of build and flight reliability. He, too, had participated in the flight readiness review in the storied room where so many shuttle meetings had been held. "It was a really big deal for SpaceX, and me personally," he said.